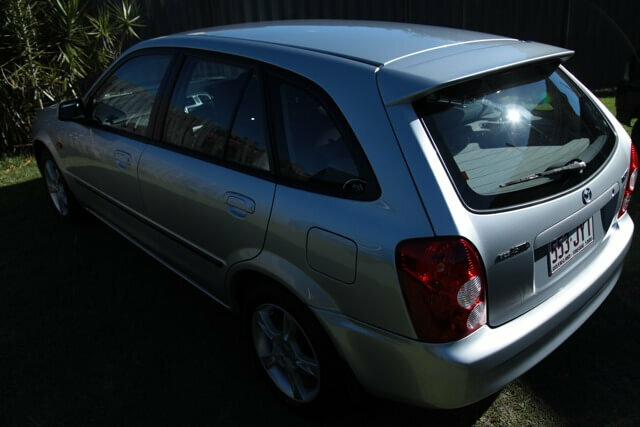 A step by step guide to maximising your car’s value from an experienced Brisbane car detailer. I’m a professional car detailer and specialise in presale car detailing. Needless to say I have helped hundreds of people sell their car privately online. I wrote this guide as I came to notice that after every pre sale detail I was repeating the same advice. It was then I realised that I should save my breath and write up a guide to help maximise your car's value when selling your car privately online. Over a period of time it's natural to develop an emotional connection with your car, however at the time of sale it's necessary cut the emotional ties. It’s almost a certainty that we have added some sort of personal touch, but these personal touches will not suit everyone. When it’s time to sell you need to remove the personal stickers and fruity air fresheners. 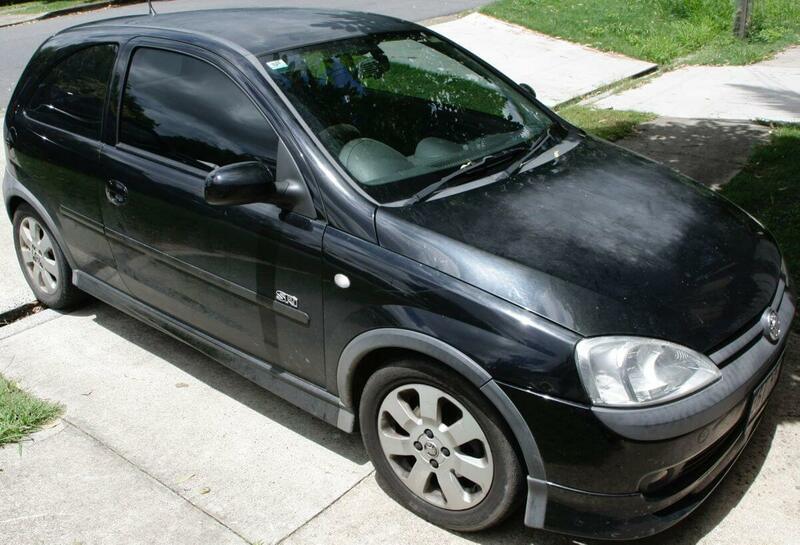 There's solid reasoning behind making your car generic once again for sale. The principle is to appeal to the mass audience, and it's the same reason you won't see pink seat covers on cars in a used car lot. Another facet of removing emotional ties with your trusty steed is changing your frame of mind to that of a potential buyer. Putting yourself into the buyer perspective will naturally prepare you for questions a seller may not inherently prepare themselves for. We’ve set up a simple spreadsheet template to guide you through the research process. You should open the spreadsheet up so you can follow along as we explain what we’ve found to be the most effective process to follow. Find your car’s price index on Redbook. Getting the average sale price will give you the ball park figure of what your car is worth. The next step is to search leading online car sale sites to check out your competition. 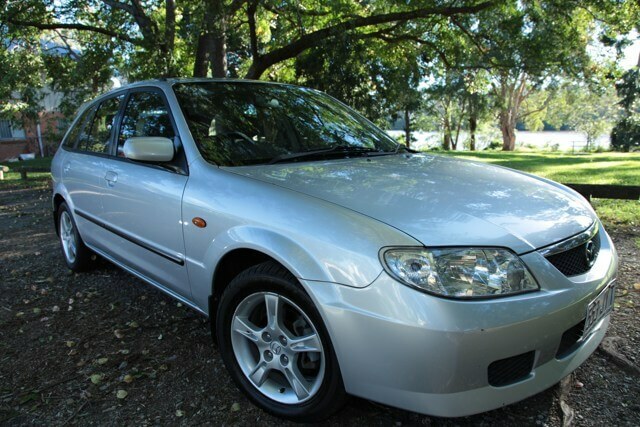 View similar cars and see similar model/Kms/condition and write down the listed price. When researching your competition try to note cars in similar condition what the listing price is and how long the ad has been live. Use this data when considering your initial list price. 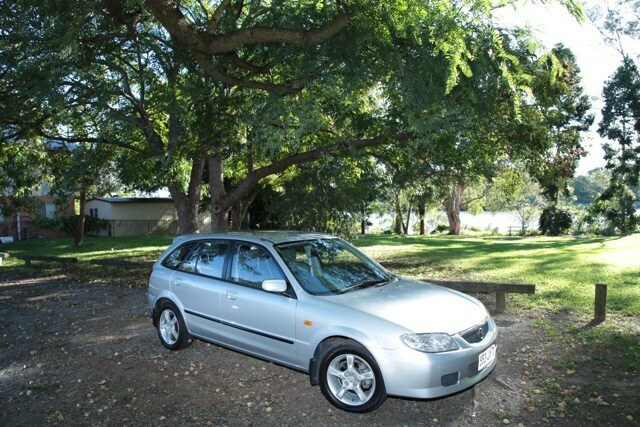 In Queensland you must have a roadworthy certificate before listing your car online for sale. The only way you can list without is if you plan on selling it unregistered, in which case you must hand in the plates to QLD transport. A good idea before going for the RWC is to get your mechanic to do a service before the actual RWC assessment. This will help identify any potential fails that might arise from the check ie (low brake pads). This will avoid any fails on the original RWC certificate that you will need to show at time of sale. Having a first time pass on the original safety certificate will help show that the car is well maintained and mechanically sound. A professional detail costs a couple hundred dollars but is money well spent, the results they achieve are very hard or impossible to replicate. The home vacuum and wash may have worked years ago but making your car stand out from the crowd usually involves a professional touch. I have personally detailed cars that have been listed for months, literally days after I detailed them they sold for more than the asking price. This demonstrates just how important presentation is especially if you want to maximise the amount of money you get for your car. 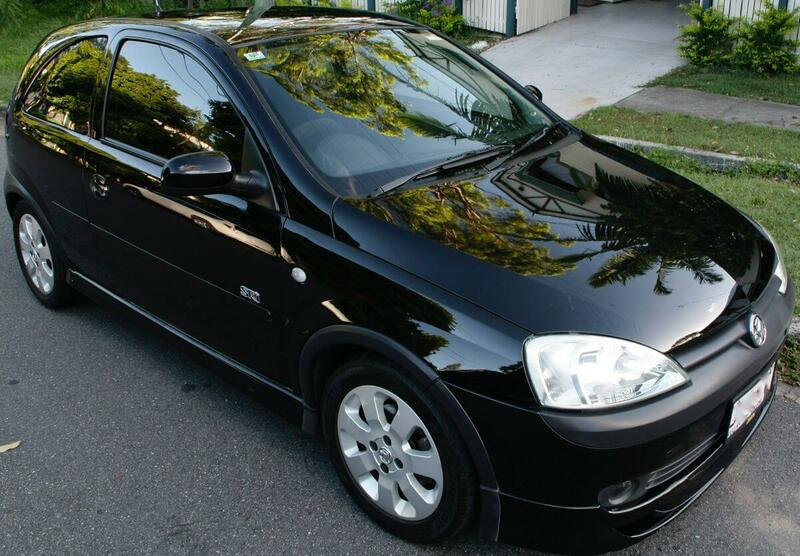 Never state that the car has been freshly detailed, you want to portray that you always keep it clean and tidy. 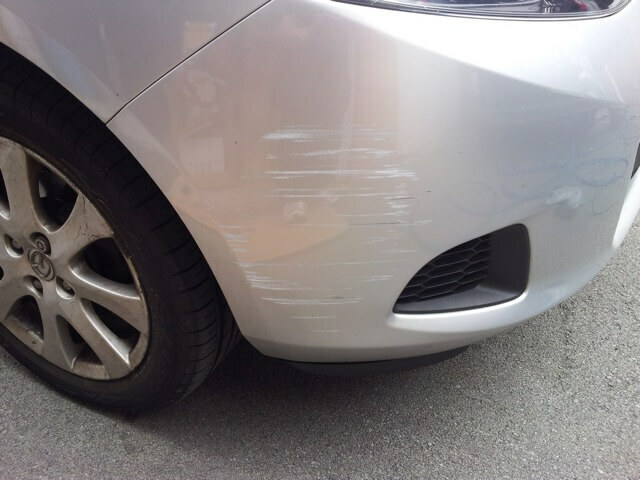 When potential buyers were inspecting my cars, they would say, “wow its clean”, or “looks spotless”. I would say. Really? its a bit dirty at the moment… and flick a tiny bit of dust of a seat. Works everytime. Photos are hands down the most important part of your listing, in terms of attracting potential buyers and standing above your competition. The difference between a great set of photos and the generic landscape shots can be that extra thousand for sale. Use ambient light to illuminate your pictures, flash photography is an artform in itself and best to avoid in this scenario. If the pictures are too dark its a sign that you need more light, morning and afternoon outdoor photos give the best results. Pick the right time of day. Early morning or late afternoon is the best time to shoot. Avoid midday as shadows are dramatic and highlights often overexpose the pictures. It also make sense to take to photos following the professional detail where the car is at its best. Fill the shot with the car. 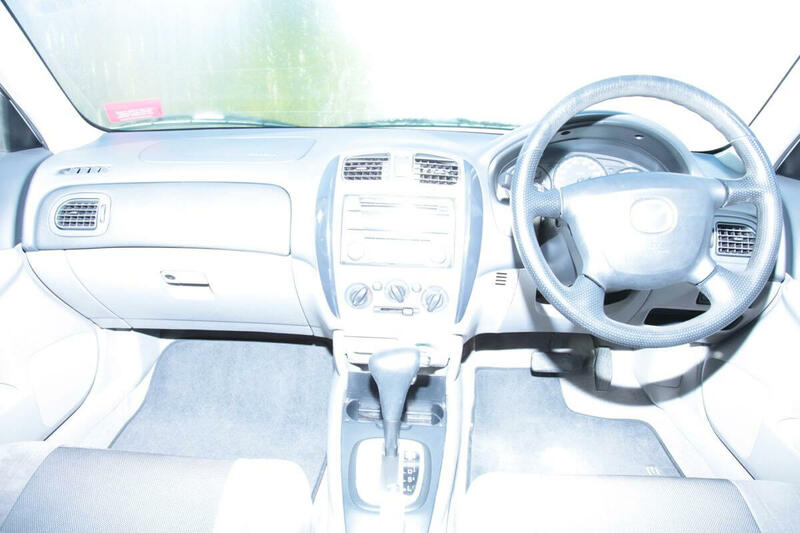 Fill the exposures with the car, there is no need for background in your car sale pictures. If you're shooting the side of a car, don't be scared to get up and close and take shots of just the drivers door. Include up close pictures of any damage to the exterior or interior. A common mistake is to leave out the scuffs and scratches in the pictures. This wastes your time and your buyers as they are eventually going to see the damage on inspection only to be disappointed, and waste everyones time. Interior pictures are a must. 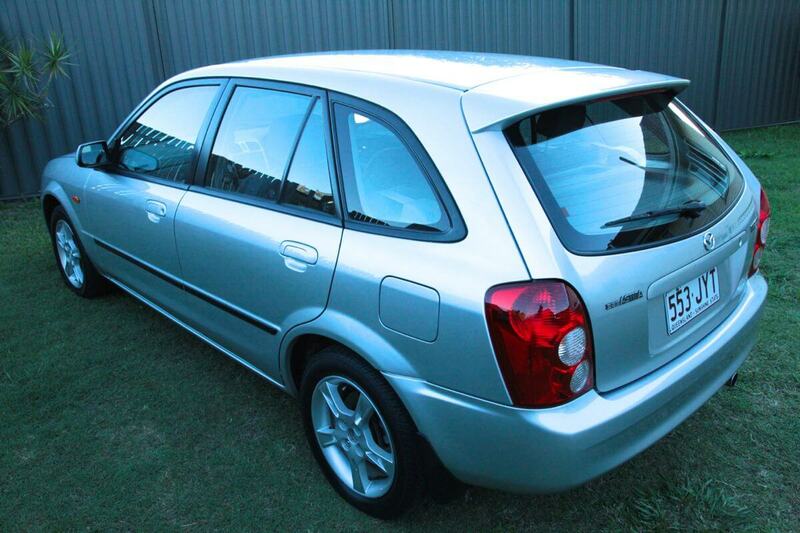 The most often left out pictures of used cars, but often the most important. 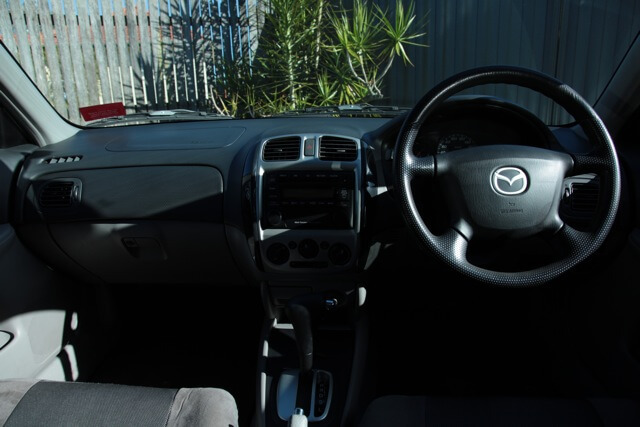 The condition of a used car interior is of great importance and a huge selling point. The importance of interior presentation is vast and again professional detailing will help achieve your best possible result. Taking photos in direct sunlight can cause strong shadows and highlight, waiting for a bit of cloud cover will give better results. Bright overcast days provide the best outdoor scenario with soft shadows and even lighting. Dark overcast days make the car look flat and dull, try to avoid badly lit areas like garages or dark carparks for the same reason. 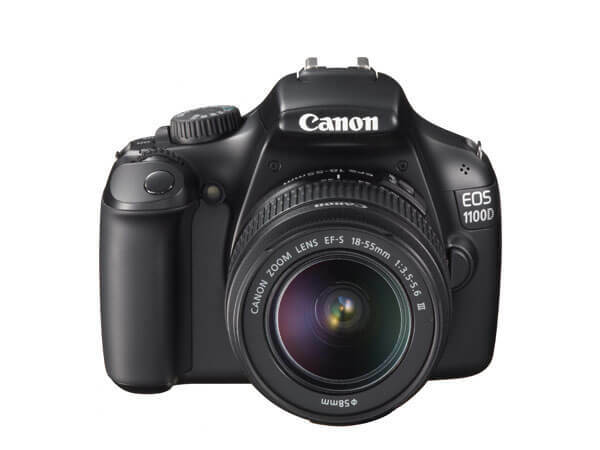 Take more photos than you think your need, then you will have the option of choosing the best ones. Always list the maximum amount for photos you can, the more the better when it comes to photos. 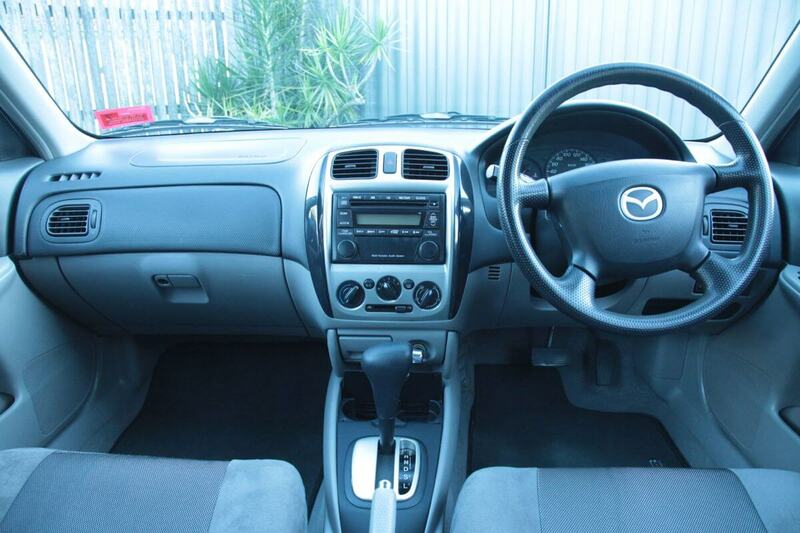 A good mix of interior and exterior photos gives better overall picture of your vehicle. 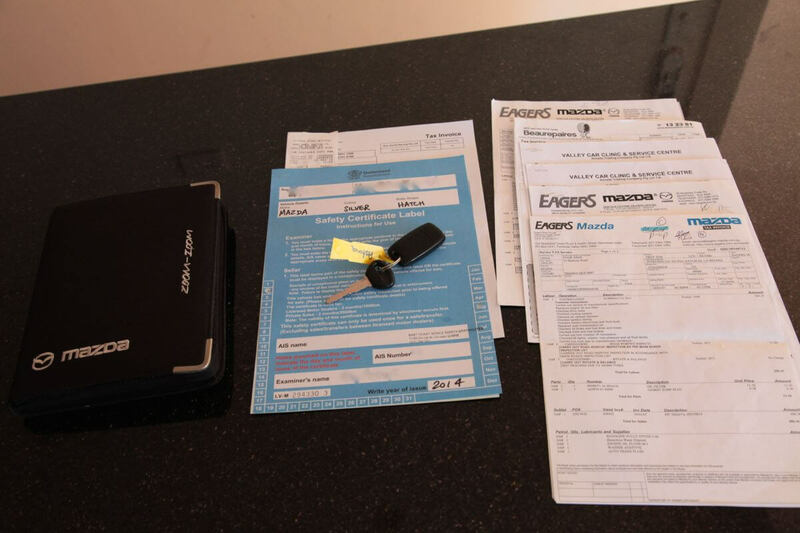 I have found that taking a picture of all the paperwork, documents, safety certificate, any spares keys and log book on a table sends a message that you are well prepared, have the correct documentation and instills confidence. The descriptions should be objective and your aim is to list the important features concisely. Although some sites give you 2000 words in this section I have found the most successful ads use bullet points and short paragraphs. 1. The first point should be why you are selling, avoid long winded life stories. Simply selling due to new addition to family, or moving overseas are legitimate reasons. Disguising reasons such as excessive fuel consumption or its getting old are advised, believe me I have heard them all and strongly advise using my subtle reasoning such as purchased new car and don't have the room. Low Km’s - used as weekend car, always garaged under car cover. Mechanically A1 - recent major service, runs like a dream, nothing to do. RWC. Once you have listed your three main USP it time to fill out with a bit more information. I would list any extras features and accessories that would set you apart from your competition. If your car has any optional add ons and extras these should be made apparent early on in description. 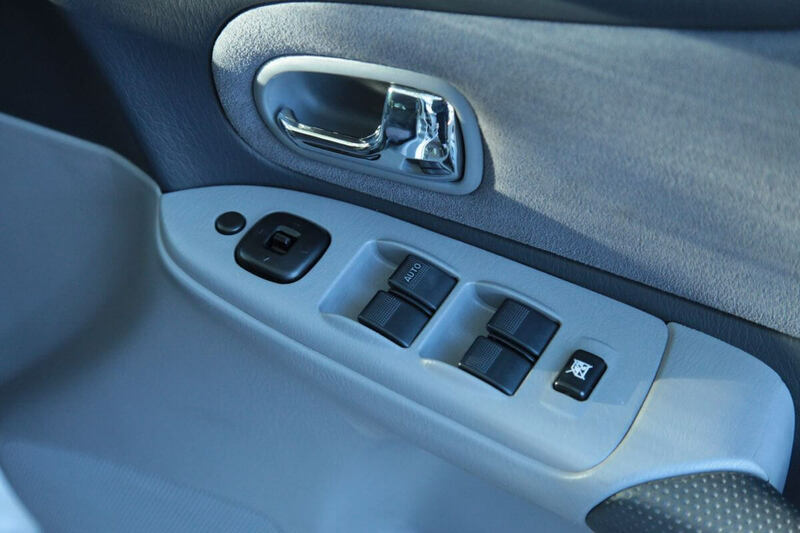 Remember to put the useful aspects of the car as well, stating that it has folding seats and how its easy to park should also be included and will help sway buyers that are considering other makes and models. The aftermarket options then follow, cheap aftermarket or inferior products should be left out of descriptions remember those personal touches should already be removed from the car. On the other hand quality aftermarket fitting such as bullbars, dual batteries, suspension and performance modifications should be listed in detail and where they were installed. Any warranties should be stated only if you have the documentation to accompany. I distinctly remember a customer of mine was trying to sell a used Toyota Celica, the car was in good condition and came up surprising well after the pre sale detail. The issue was a cheap subwoofer box in the boot that wasnt fixed down and had noticeable wear and tear. It took a bit of convincing to the client to totally remove the speaker. The mentality of seller was to keep it so they can say it has a subwoofer and subsequently add value to the car. In actual fact because it was a cheap and inferior speaker it actually devalued the car and gave the overall impression of cheap and nasty. Within days of removing the speaker the car was sold and I received an ironic text message from the seller “I told you so”. Finally once all the objective information has been listed and explained, you can now put a bit of a personal touch. This should add emotion to your listing and will give the serious buyers something to simmer on. I would usually say something about how its a real head turner and you won't find a better example. Things like saying it is sad to see it go also helps put your point across that its a good car. Avoid overstating Regretful sale, this term is overused and now sparks the BS meter to switch on. Subtle is the key, remember put yourself into the buyer shoes, you first want to read about the specifics of the car before the hearing about sad the seller is. Deciding on a list price. This is the last step, although I commonly hear people say I need X amount for the car that’s why I’m getting it detailed. I always reassure them that the price they will get will depend on more than how clean it is. If you have followed all the above steps you will have give yourself the best possible chance of maximising the sale value, however they are still variables out of your control. You should already have a ballpark figure what your vehicle's market price, now you must decided whether you want a quick sale or you're happy to wait for the right buyer. Listing the price too low will attract low ballers looking for a bargain and cause more trouble than offering a sensible low price if your after that quick sale. When I say sensible I mean compared to your competition you are a good 1-10% lower than similar car in your area. Price is only one stand out, and if you've followed this guide you will have a sparkling clean car, a great set of photos and informative description that will portray your car in the best possible light. Setting a high price initially and then coming down is a typical tactic for people who have time on their hands. I have used this method a few times without success. The times where I was chasing a premium I listed high and stayed there for months. If you are looking for a substantial premium over your competition you will need to be patience. The benefit of having a premium price is you have a lot less tyre kickers and inspections are usually followed by offers. The downside is the waiting, finding the right buyer can take months and even years if your car's unique. If you want a hassle free quick sale, you will need to follow all the tips above as well as list a price identical or slightly lower than your competition. Remember you should have the better chance with great photos and description but you will have to be objective with how to rate other cars on sale. If the competition have lower Km’s or are obviously in better condition you will need to advertise at a discount to sway buyer towards your listing. It hard to get it right the first time and thus why many people list high first and then come down. I do not practise the initial high price listing method anymore. I research my competition rigorously and make sure I advertise the price Im prepared to sell at. I always think as myself as a buyer and at what price I would buy my car over the next best thing. Using this method I do not ever list ONO (or nearest offer) this to me tells me straight away the seller is fishing, and you will get lowballers throwing silly offers at you. My list price is realistic and firm, often I actual state “no offers please”. I update my listing weekly so potential buyers see that the listing is recent and fresh, also helping you quickly disregard low offers you may get. A good tip is to say, I'm not open to offers, as I only listed last week and have had many phone calls.. This normally shuts lowballers down and will separate legitimate buyers straight away. Whichever online car marketplace you use be sure to read their seller safely section, this will outline the different types of scam out there and will prepare you for any fraudulent activity. I have sold plenty of cars and bikes for clients over the years and have some personal tips I can pass on to you. 2. If they want pay via western union and want to send a friend to pick it up. Its definately a SCAM. 3. If they ask for any personal details before seeing the car I would be very careful, asking about the car history is fine but I always insist that if they are interested they should come have a look before going any further. 4. Real buyers want to see the car before offering money, so if you get offers before inspection this I would approach very carefully. 5. General rule is if the offer is too good to be true, it probably is. I have been offered excessive amounts over the asking price for a motorbike I was selling by a person claiming to be on a oil rig, he wanted to paypal the funds and get a courier service to pick up the bike at his cost. Obviously is was a total Scam and you should be aware whenever someone offers you money when they have not seen the car. 6. Other types of Scams are payment scams which usually involve making it look like they have paid you until you check your account. Do not hand over the keys unless you can see the money is your personal bank account, or have the cash in your hand. Bank cheques can be cancelled and I have numerous stories of people paying for expensive cars with cancelled bank cheques. If unsure take to buyer with you to the bank and make sure the funds are in your account. I little bit of inconvenience will only bother a non geniune buyer so dont be pressured into a sale by pushy buyers, they are probably trying to scam you. Below is a short checklist you should follow in order to make the most of all of the work you've done to increase your car's value. 1. Check over the car make sure it looks as good as the day you took those photos. 2. Start the car and make sure you have enough petrol and the battery is charged. 3. Ensure the tyres are at the correct pressures and all the fluids including the washer bottle are full, it helps portray that the car is well maintained. 5. Do not let them test drive alone, accompanying the test drive is a great way to also sell the car by pointing out the strengths such as, comfortable ride or how the steering is responsive.